God heals! Seeing women walk in freedom—nothing illustrates this more than the joy on the faces of women who complete a “Forgiven and Set Free” class. 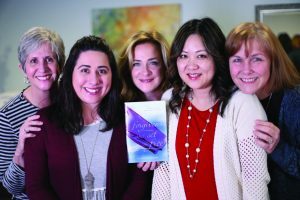 ‘Forgiven and Set Free’ facilitators include, from left, Kathy Williams, Chelsey Juarez, Autumn Ellis, Ennie Neeley and Gaylene Stupic. Photo provided. “Forgiven and Set Free” is a 12-week Bible study to help those suffering from past abortions. 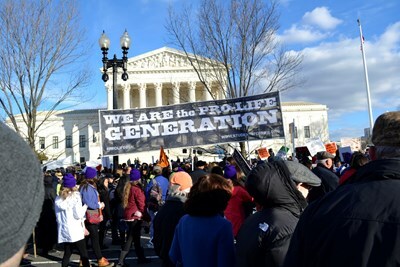 A lady in her mid-70s who participated in a class at one of the Hope Pregnancy Centers had suffered with the pain of past abortions most of her life. Her health was failing, and she passed away a few months after completing the class. Statistics show one in four American women have had an abortion. Sadly, 70 percent identify as Christians, and 33 percent were attending church at the time of their abortion. What does this mean? It means there are a lot of hurting women and men sitting in church pews each week. Satan uses secrecy and accusations to isolate and prevent the hurting from seeking the healing and forgiveness God lovingly offers. God uses this class and His Word to bring freedom and healing. and Set Free” and similar classes. Visit www.pregnancynet.org to locate a center near you. Hope Pregnancy Center in north Oklahoma City is providing a three-day training class Jan. 23-25 to equip facilitators to lead “Forgiven and Set Free” classes. Visit www.obhc.org/hope or call 405/755-5433 for more information.